In Apple support communities a number of Mac OS X users have reported that their Mac machine won’t show up Seagate Backup Plus drive. There are various reasons for this. This article gives you a brief idea about the reasons behind this problem along with the solutions. 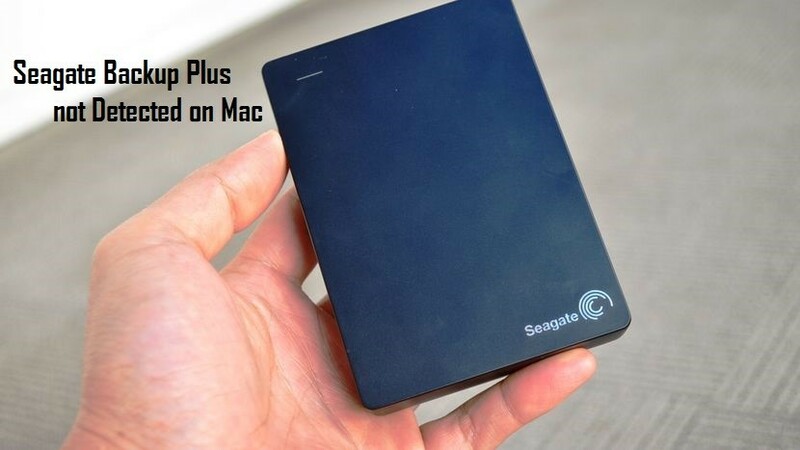 Why Seagate Backup Plus for Mac Not Recognized? Below are the causes for Mac not recognizing Seagate backup plus. External drive damage or corruption etc. So it is suggested to check whether the power cables are connected properly or not. If so then uninterrupted power supply may not transmit power. Try by connecting the Seagate drive to all ports of Mac machine if not working then connect it to some other system and check whether it works. If it is working well then recover your important files, documents, audios, videos, photos from Mac external hard drive. And, try the troubleshooting techniques explained in the Part 2 section of this page. In case, your Seagate Backup Plus drive is not detected in other systems then immediately recover data from Seagate Backup Plus drive that is not detected on Mac using Remo Recover; because chances are there that you may lose data while fixing undetected Seagate backup plus drive. So, it is suggested to backup your data from Seagate backup plus drive before you start resolving the issue. And, is this regard Remo Recover can help you. It will easily recover even your pictures from an external hard drive on Mac machines that is not showing up. This software can recover data from all Mac OS X including High Sierra, macOS Sierra, El Capitan, Yosemite, etc. 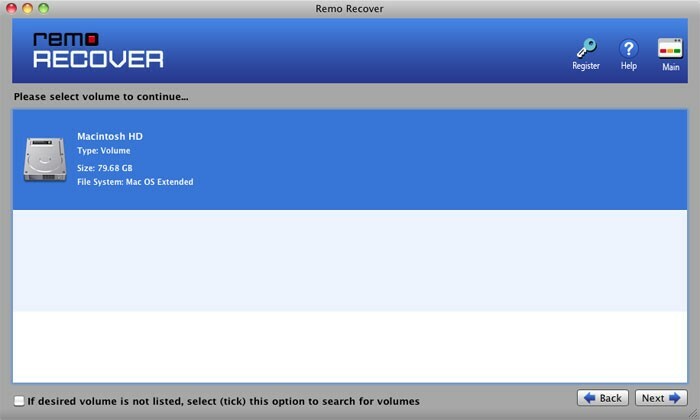 Get the free download of Remo Recover (Mac) software on your Macintosh and install it. Next, follow the below step-by-step instructions to recover data from Seagate backup plus drive that is not recognized on Mac OS X. 1. Connect your Seagate backup plus drive to the software installed Mac, launch Remo Recover (Mac) tool and click the Recover Volumes/Drives button on the main screen. 2. Next, click on the Volumes Recovery button to recover data from Seagate backup plus drive volumes. 3. Select the connected Seagate backup plus drive, followed by all its volumes and click “Next”. 4. If you wish you can specify file types to recover from the Seagate plus drive. Else, hit the Skip button to select all file formats by default. 5. The data recovery software deep scans the selected Seagate backup plus drive and lists all recovered files. 6. Preview recovered data and Save your required files on the Mac machine’s internal hard drive (HDD). Note: Don’t save recovered files onto the same Seagate backup plus drive from where it is retrieved. Now, you have your data safely recovered from the Seagate backup plus drive. So, you can start fixing Seagate backup plus drive that is not detected on Mac. OpenDisk Utility and check if the external hard drive is faded or grayed out and uncountable? Then type Seagate drive path which appears under Disk Utility and checks whether it will display your drive. If any of the above methods didn’t help you to solve the problem, then install the fresh OS X and try. Or else connect Seagate drive to any Windows computer, delete the partition and connect back to Mac Pro. I hope your issue is resolved by using the above techniques. In case, if you have tried any other technique and successfully fixed the Seagate backup plus drive that is not recognized on Mac then you can Leave a Reply and share your solution here.